We have been shocked by a newspaper article titled ‘’New Push in Pipeline for acceptance of GMO seeds after successful trials “ which was published on the Guardian of 2nd November 2018 claiming that Tanzania Agricultural Research Institute (TARI) has joined farmers across the country in pushing for changes to the existing agricultural laws to allow the use of genetically modified organisms (GMO) seed varieties because they are drought resistant and can’t be easily destroyed by pests including armyworms. Furthermore, the reporting states that “the farmers are also said to have concurred that the use of GMO seeds will ensure bumper harvests while also boosting their own incomes”. Clearly this article is misleading, unsubstantiated and wants to use farmers as a ploy to convince the public that farmers are in desperate need of GMO seeds which is completely untrue. 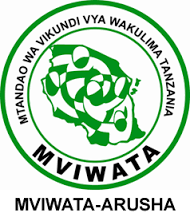 We are the national farmers’ organisation with members in all regions of Tanzania. We have debated in many forums on GMOs pros and cons and arrived at one conclusion that GMOs are not beneficial to the farmers and to the nation of Tanzania, economically and environmentally. In all our discussions, all of which have been attended by media, farmers have called for our Government not to allow GMOs to be used in the country for obvious reasons that neither farmers nor the nation shall benefit from GMOs. This position of farmers was crystal clear during our recent convergence of at least 2,600 farmers which was held in Morogoro, on 5 – 7 October 2018, in Morogoro. We therefore ask the reporter to tell the public which “farmers across the country are pushing for changes to existing agricultural laws to allow the use of genetically modified organisms (GMO) seeds” and which farmers have concurred that “the use of GMO seeds will ensure bumper harvests while also boosting their own incomes”. We challenge the reporter to come up with statistical evidences on these farmers the reporter is referring to especially since this article refers to the work of a scientific body, TARI. Otherwise, the article in the Guardian, as the case is for the article in Mwananchi of 10 November 2018 titled “Mbegu ya Dhahabu: Mbegu za GMO zinavyoweza kuwaepusha Wakulima na Viuatilifu’ once again proves an ongoing media campaign and propaganda to misinform the public and promote GMOs for the interest of multinational companies while disregarding the Tanzanian national interests. During the symposium to mark 3 years of President J.P. Magufuli at University of Dar es Salaam, the President said, when talking about Stigler’s Gorge, that “no one can teach us about environment”. Borrowing these words, certainly, no one can teach the farmers what is good for us and no one else can talk on our behalf, especially on GMOs. We repeat our call to our Government not to allow GMO seeds to be used in our country since no one but multinationals stand to gain at the cost Tanzanian small holder farmers, our economy, our genetic resources and our health.